The central argument of Edward Said’s Orientalism is that the relationship between Britain and its colonies was primarily oppositional, based on contrasts between conquest abroad and domestic order at home. 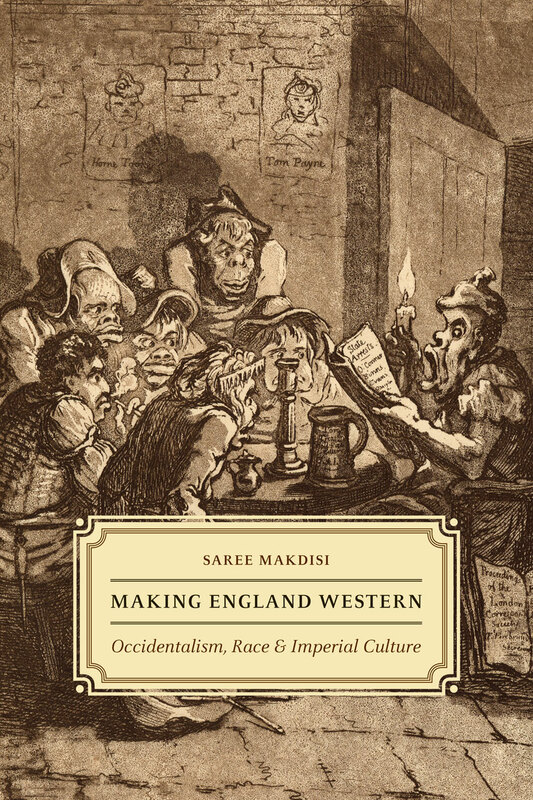 Saree Makdisi directly challenges that premise in Making England Western, identifying the convergence between the British Empire’s civilizing mission abroad and a parallel mission within England itself, and pointing to Romanticism as one of the key sites of resistance to the imperial culture in Britain after 1815. Makdisi argues that there existed places and populations in both England and the colonies that were thought of in similar terms—for example, there were sites in England that might as well have been Arabia, and English people to whom the idea of the freeborn Englishman did not extend. The boundaries between “us” and “them” began to take form during the Romantic period, when England became a desirable Occidental space, connected with but superior to distant lands. Delving into the works of Wordsworth, Austen, Byron, Dickens, and others to trace an arc of celebration, ambivalence, and criticism influenced by these imperial dynamics, Makdisi demonstrates the extent to which Romanticism offered both hopes for and warnings against future developments in Occidentalism. Revealing that Romanticism provided a way to resist imperial logic about improvement and moral virtue, Making England Western is an exciting contribution to the study of both British literature and colonialism.